Back to People To Watch 2016 index page. Millions of Americans watched as National Park Service Director Jonathan Jarvis rode horseback in the Rose Parade on New Year's Day. He was joined by about a dozen other mounted NPS rangers, an 1800s stagecoach and two lines of mules with saddlebags that urged onlookers to "Find Your Park." The agency and its supporters have adopted that slogan as a call to action during the months surrounding the Park Service's 100th anniversary on Aug. 25. Jarvis will remain one of the most visible faces of that campaign for the rest of 2016. Behind him, however, stand many officials from the Park Service, Congress and advocacy groups who will play major roles in determining the outcome of the centennial. Will they only celebrate the 409 units of the National Park System? Or will they also succeed in setting the Park Service -- which faces challenges ranging from billions of dollars in deferred maintenance to difficulties attracting young and minority visitors -- on a firmer footing for its next 100 years? Here is a look at some of those key players whose efforts over the coming months will help answer those questions. Alexa Viets, the National Park Service's centennial coordinator. Photo courtesy of Alexa Viets. As centennial coordinator for the Park Service, Alexa Viets aims to find new ways to link people to the parks. The Rose Parade partnership is a prime example of her handiwork. The theme of this year's event, "Find Your Adventure," echoed the centennial campaign. The parade also featured filmmaker Ken Burns -- whose 2009 series brought new attention to the national parks -- as its ceremonial grand marshal and included a message during the broadcast from first lady Michelle Obama and her predecessor, Laura Bush, urging Americans to visit a national park this year. Viets, who leads a team of five at headquarters in Washington, D.C., says her job is to "try to make sure all of the dots are connecting." Her main goal for the centennial is "to see a real increase in the diversity of our visitors, as well as the diversity of supporters and advocates," she said. "It's really about introducing not just the parks themselves, but the work that we do in communities, to a whole new generation." To bring more minorities and millennials into the system, Viets and her team are working with outside groups ranging from the National Endowment for the Arts to the YMCA to the League of United Latin American Citizens. She also coordinates daily with the National Park Foundation, a charity created by Congress in 1967 to support the Park Service. "They are our national nonprofit partner, and they are the organization that is paying for and taking the lead on our 'Find Your Park' campaign, as well as aligning significant philanthropic support for the National Park Service," she said of NPF. 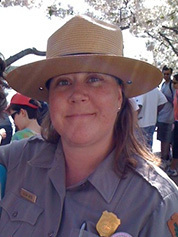 Viets started with the Park Service in 2002 after working as a transportation consultant in Philadelphia. She was a fellow in Jarvis' office before landing the centennial job in 2012. The 41-year-old native of Kansas City, Mo., grew up canoeing along the Ozark National Scenic Riverways. She went on to graduate from Bryn Mawr College and earn a master's degree in urban planning from the University of Pennsylvania. She lives in D.C.'s Columbia Heights neighborhood with Leo, her German shepherd. When she is finally able to "come up for air" in 2017, Viets said she is "looking forward to spending some time in the quiet places across the country, some of the wilderness areas." 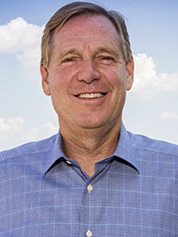 Will Shafroth, the National Park Foundation's president and CEO. Photo courtesy of the National Park Foundation. After six months as NPF's president and CEO, Will Shafroth still hasn't fully decorated his office, probably because he mostly works outside it. Shafroth is the lead rainmaker for the congressionally chartered group that's helping bankroll the Park Service's centennial effort. That responsibility requires him to spend much of his time flying around the country to meet with prospective donors. Historically, NPF has brought in about $25 million per year, but last year, as part of the centennial effort, it took in a record $82 million. One quarter into fiscal 2016, NPF has secured nearly three-quarters of its almost $70 million budget, Shafroth said. "That's a good problem to have," he said, adding that the foundation is on pace to raise around $100 million this year. "Our intention is to have this be a kind of new plateau and a new way of doing business," Shafroth said. "For us, I really see the centennial as a way for the foundation to kind of reinvent itself -- to say, 'We're here for the long haul, at a much higher level,'" he said. But the fundamental purpose of all that money is to reinforce the agency's focus on increasing the diversity of national park visitors and supporters, he added. "If we don't begin to change the arc of who we connect to the parks, the rest of it isn't going to matter," Shafroth said. Even before taking the reins at NPF, Shafroth, 58, was familiar with the organization. For the first four years of the Obama administration -- while acting assistant secretary and principal deputy assistant secretary for fish and wildlife and parks at the Interior Department and later as a counselor to former Secretary Ken Salazar -- Shafroth represented Salazar at meetings of the foundation's board. Shafroth, whose great-grandfather was a U.S. representative, senator and governor of Colorado, unsuccessfully ran for Congress in 2008, losing to Rep. Jared Polis (D-Colo.). Previously he worked for land conservation groups in the state and in California, where he went to the University of California, Santa Barbara. He also earned a master's at Harvard University's John F. Kennedy School of Government. The pictures he intends to hang in his NPF office are of Point Reyes National Seashore, which he often visited in his 20s, and two national parks that he makes annual pilgrimages to: Voyageurs along the Minnesota-Ontario border and Rocky Mountain in northern Colorado. Born and raised in Denver, Shafroth said he now lives "90 seconds" from the Chesapeake & Ohio (C&O) Canal National Historic Park in D.C.'s Palisades neighborhood. He and his wife have three adult children: two daughters and a son. Donald Hellmann, the National Park Service's assistant director for legislative and congressional affairs. Photo courtesy of the National Park Foundation. The agency hopes to begin addressing another huge problem: its $11.5 billion deferred maintenance backlog, with a centennial bill authored in large part by Donald Hellmann, the assistant director for legislative and congressional affairs at NPS. The administration's proposal could make up to $1.5 billion available to the Park Service over three fiscal years. Most of that would be via $900 million in mandatory spending over three years, although lawmakers on both sides of the aisle have balked at that provision (E&E Daily, Dec. 9, 2015). "Whenever there is ever any kind of proposal for mandatory funding, it tends to be a bit more of a heavier lift," Hellmann said. "We're trying to make the case with Congress about what the needs of the National Parks are and how this mandatory funding could help move the agency forward in addressing those needs." Even if lawmakers can reach agreement on the amount of NPS funding and on a controversial provision that would grant new concessions management authorities to the agency, limited days in session this year may be another problem for the bill, Hellmann said. One way the measure could pass, he suggested, is as a rider to a larger spending package. Congress has a habit, "particularly when it comes to parks and public lands bills, of taking things and putting a lot of them in one big package and getting it done when they need to get it done," Hellmann said, pointing back to the 2015 defense authorization bill. In addition to funding the Pentagon for a year, that legislation designated 250,000 acres of wilderness, withdrew hundreds of thousands of acres from mineral development, established or expanded more than a dozen national park units, and protected about 140 miles of rivers (Greenwire, Dec. 12, 2014). 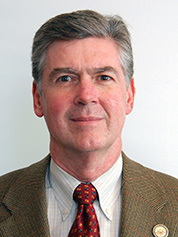 Hellmann, 62, has spent two decades in the Park Service's legislative affairs office, which he has led since 2009. Before being recruited to join the agency, he also interacted with lawmakers as the Wilderness Society's legislative counsel and vice president for conservation. A native of northern Kentucky, Hellmann earned his bachelor's degree at Thomas More College and taught junior high history and English in the state before earning a master's in politics at the Catholic University of America. Hellmann's first job in D.C. was as a legislative assistant to former Sen. Walter Huddleston (D-Ky.). After earning his Juris Doctor at the University of Baltimore, he also worked with former House Majority Whip Tony Coelho (D-Calif.). A resident of Annandale, Va., his favorite national park is Maui's Haleakala, which is centered around a volcanic crater that he described as "like walking on the moon." Erica Rhoad, majority staff director for the House Natural Resources Subcommittee on Federal Lands. Photo courtesy of the House Natural Resources Committee Republicans. 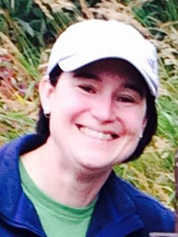 One of the lead players who could help shape a parks funding package is Erica Rhoad. As the majority staff director of the House Natural Resources Subcommittee on Federal Lands, Rhoad spearheaded the effort to craft the centennial discussion draft put forward last month by full committee Chairman Rob Bishop (R-Utah). That proposal would provide the Park Service with an estimated $47.6 million per year, well short of the administration plan. Those funds would be raised by increasing the price of the lifetime senior pass from $10 to $80 -- in line with the cost of an annual pass for visitors younger than age 62 -- and by levying a new 5 percent lodging fee on most overnight stays within the national park system. Both provisions are also included in the administration's legislation. "While we would love to come up with some other ways to get mandatory funding to the National Park Service to deal with the deferred maintenance backlog, it's just not realistic unless we have an offset," she said, referring to cutting spending elsewhere in the federal budget to pay for new expenditures. Rhoad still thinks it's possible to pass bipartisan, bicameral legislation. "The entire goal is to kind of shift the way we think about national parks for the next century," she said of Bishop's draft. "Because we're still doing things the old way." Rhoad lamented that, for example, visitors to Yosemite have to wait in lines during peak season -- a problem that she thinks could be alleviated in part with new online tools that would make it easier to buy passes, book lodging and tour parks. She said the lack of Internet service in much of the park system "is a huge issue right now, too." Rhoad, 36, came to the committee after lobbying for the National Rifle Association and the Society of American Foresters. A memento from working with the timber industry -- an ash and maple Louisville Slugger with her name burned onto it -- sits on her office shelf. An avid equestrian, she has a framed photo of a horse, on loan from the Forest Service, hanging beside her desk. Her previous Hill experience includes stints on the House Interior, Environment and Related Agencies Appropriations Subcommittee and in the personal offices of former Republican Reps. Bob Schaffer of Colorado and Richard Pombo of California, her home state. Rhoad was born in Oakdale, which claims to be the "Cowboy Capital of the World," but moved to northern Colorado at age 5. She earned a bachelor's in political science at Colorado State University in Fort Collins. Rhoad lives with her husband in the Plains, Va., a small town about 50 miles from Capitol Hill, and says Yosemite, which she visited as a child, is her favorite national park. 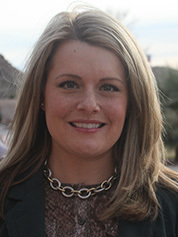 Lucy Murfitt, the natural resources policy director for the Senate Committee on Energy and Natural Resources Republicans. Photo courtesy of Lucy Murfitt. The NPS funding and reform bill that the Senate Energy and Natural Resources Committee plans to unveil is sure to have Lucy Murfitt's fingerprints all over it. As the top resources policy aide to Chairwoman Lisa Murkowski (R-Alaska), Murfitt is leading centennial discussions with staffers from the offices of ranking member Maria Cantwell (D-Wash.); National Parks Subcommittee Chairman Bill Cassidy (R-La. ); and Sen. Rob Portman (R-Ohio), a longtime supporter of the Park Service. They are working on limiting the broad concession management authority that the agency requested and tweaking an endowment provision supported by NPF to make the fund more sustainable, she said. Another priority for Murkowski is to expand measures that engage the private sector so that NPS "brings in both the big donors and the little donors -- and gets also the youth engagement that is going to be needed in order to sustain the park system." The bipartisan group hopes to have its own bill ready to roll by March or April. "We've been moving on an aggressive timeline," she said. With or without new money and authorities, Murfitt believes the Park Service can have a successful centennial and build support for its next hundred years. But she said, "I'm a glass-half-full kind of person," and believes a centennial bill of some sort will be signed into law by the president. Murfitt came to the committee in 2013, after the retirement of her former boss, Senate Minority Whip Jon Kyl (R-Ariz.). She first became interested in natural resource policy while working as a legal aid attorney in rural western Pennsylvania during the early days of the fracking boom. Murfitt went on to join the Army as a commissioned officer, a move that allowed her to serve as both environmental counsel for the service and occasionally lead physical training sessions at Fort Bragg in central North Carolina, she said. Originally from New Jersey, Murfitt earned a degree in philosophy and history at Pennsylvania's University of Scranton and her Juris Doctor at the Loyola University Chicago Law School. The 44-year-old lives in D.C.'s Georgetown neighborhood. Her favorite national parks are Great Falls just outside the D.C. Beltway, the Grand Canyon and Alaska's Wrangell-St. Elias, a 13.2 million-acre national park that spans from the ocean to the 18,000-foot-tall summit of Mount St. Elias. Correction: An earlier version of this story contained an incorrect figure for the number of units in the National Park System.